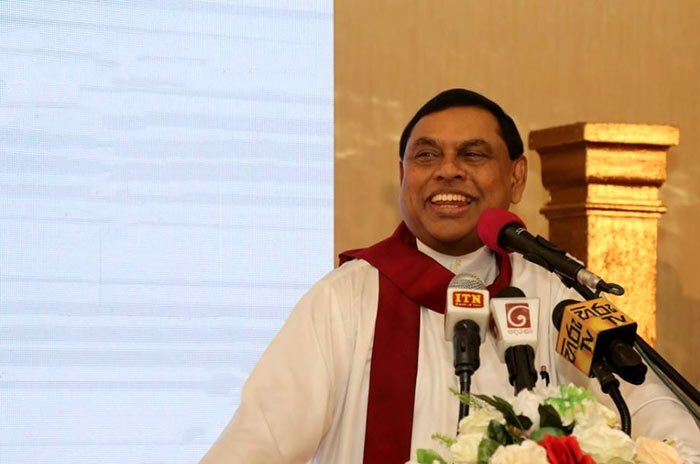 The Sri Lanka Podujana Peramuna (SLPP) will not campaign or back a presidential candidate who is not a member of the SLPP, Party’s National Organiser Basil Rajapaksa said yesterday. He told this to a group of Gampaha District SLPP local government members who met him at the party head office yesterday. The local government members said there were many different views about the upcoming presidential election and some parties, which aspire to ally with the SLPP, have already commented on their presidential candidate even without consulting the party leadership. The SLPP members said they were not ready to campaign for a presidential candidate who is not a party member. Responding to the local government members’ concerns, Mr. Rajapaksa assured that the candidate fielded by the SLPP under the lotus bud symbol would be elected as the next president. “As a party which gives the foremost place to party members at grassroot level, the SLPP is not ready to steer a campaign for someone who is not accepted by the grassroot level. The party leadership will never force members to vote for such a candidate. Without any doubt, the next president will be an SLPP candidate,” he said. That is a ‘cutting-edge’, bold, policy statement. Having garnered > 40% of popular support in the Local Government elections, there is no cause for the SLPP to sponsor an outsider as Presidential candidate. The minority vote will determine the winner. Unfortunately, the SLPP and its allies will not receive any minority support. However, SLPP’s policy of the Presidential candidate being from its ranks is admirable. This clear-cut decision / policy by Basil R will send shivers down the spine of the cut-throat King and his meagre followers. Actually, BR / SLPP should sponsor Ranil Wickremasinghe as the next President. The country and SLPP will stand a lot to gain.